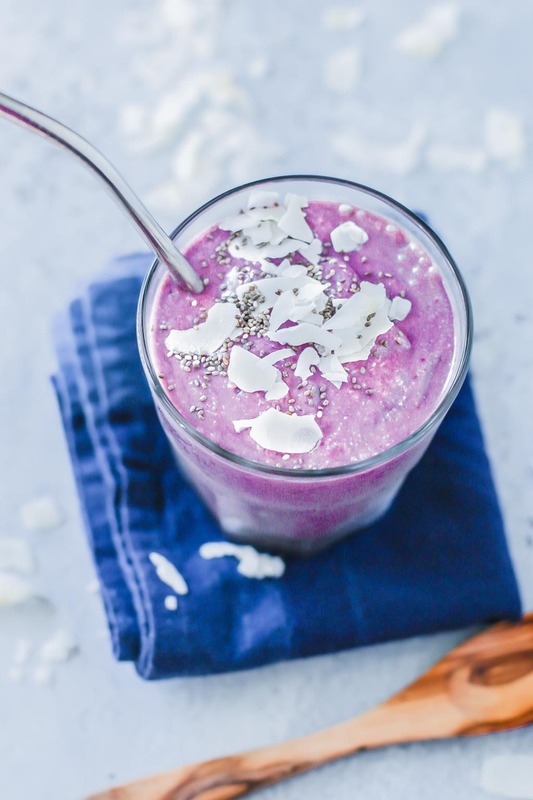 This smoothie is creamy and tropical from the coconut, with a tartly bright kick from the acai. So simple, with only a few ingredients, but so delicious! If you love to drink fresh coconut water, don’t throw away the meat that’s inside! It freezes sooo beautifully and can be used for so many things, like sauces, salads, desserts and stir-fries. Throw it into smoothies instead of nuts or dairy, thaw it out and cut it up into salads, top your overnight oats with it…the possibilities are endless! Acai is such a wonderful fruit to add to smoothies, and so easy since it comes frozen! These little powerhouse berries are a grape-like fruit native to the rainforests of South America. They are harvested from acai palm trees. Acai berries have been called a superfood, with benefits ranging from improved skin appearance to weight loss. They contain more antioxidants than other common berries, like blueberries and raspberries. Acai is also high in fiber and heart-healthy fats! 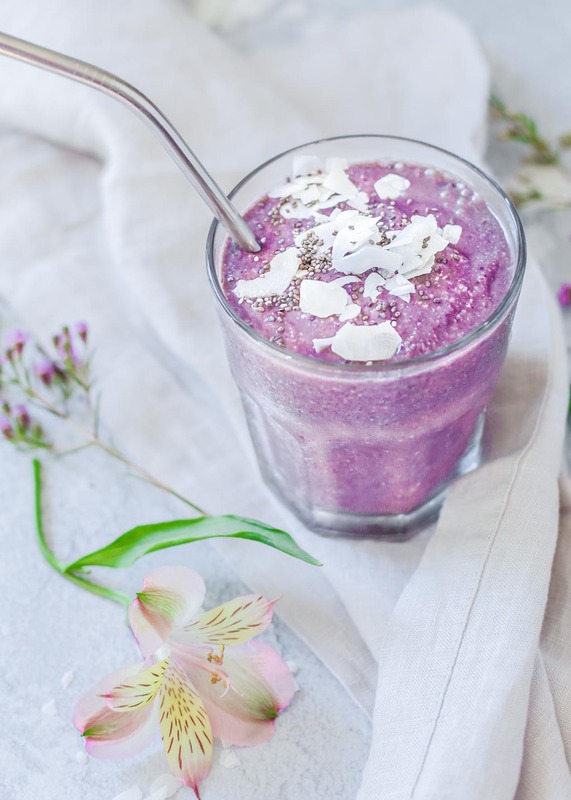 Smooth and creamy with coconut, bright and tart from acai, this smoothie is a delicious way to start your day! To make the smoothie, add all the ingredients to a blender and blend until smooth. Add more water if you like a thinner smoothie or if you need to help the blender work more smoothly.